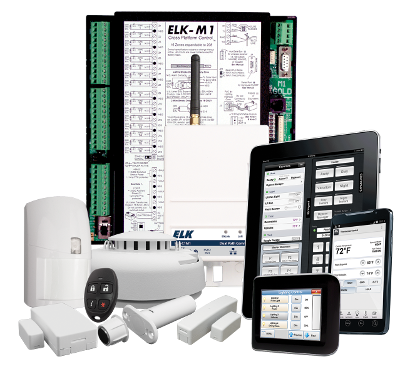 The Elk M1 Control System defends itself via a two-way wireless mode of communication between the sensor and the processor, making it harder to jam. Security systems are intended to protect homes, property, and families from burglary, fire, vandalism, and other unsavory events. 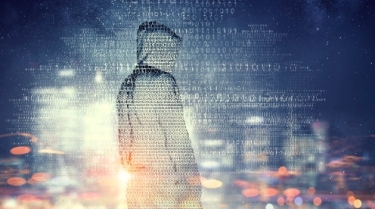 The M1 Control System from Elk is no exception, but it goes one step further by protecting itself against hacking and jamming attacks—the kind of cyber attacks that can cripple a security system. Elk accomplishes this through the implementation of several technologies that make the M1 system virtually impenetrable to hackers, says Brian Esarove, senior design engineer at A.I. Home Automation, of Stockbridge, Ga.
For A.I. Home Automation, the hack-free design of the M1 was just as important as its ability to safeguard the high-end residences it serves. So how does the M1 manage to defend itself? For starters, the system employs a two-way wireless mode of communication between the sensor and processor. This in and of itself makes the system harder to jam than systems that employ a one-way mode of communication, according to Esarove. Furthermore, the transmission of information between sensors and system processor is encrypted, and the M1 scans and hops multiple frequency channels. “It would be nearly impossible to scan and lock onto all of those operating frequencies. Believe me, I tried,” Esarove says. There’s another benefit to the two-way communications infrastructure: reduction of false alarms. The M1 system is in constant communication with its connected sensors; it always knows exactly which windows and doors are open, for example. Consequently, the end-user is able to identify if an alarm condition is actually an emergency or not and call off the emergency responders if necessary. This prevents costly fines for false alarms. Another feature of the M1 that provides a layer of protection is its ability to use both IP and cellular protocols to communicate alarm conditions with central monitoring stations. If the Wi-Fi network in the home is alive and kicking, it will use this route; if not, it the system communicates via cellular. It’s extra assurance for the end-user and integrator of reliable protection for homes and businesses. Communications for programming and IoT control utilize encryption methods used by financial institutions. Remote connectivity requires a valid serial number and access codes set by the installer.